BEIJING -- A city government says seven people were killed and 59 injured in an explosion at the front gate of a kindergarten in eastern China as relatives were picking up their children at the end of the school day. The Xuzhou city government in Jiangsu province said the blast at the Chuangxin Kindergarten in Fengxian, which struck at 4:50 p.m. Thursday, was under investigation. It wasn't immediately clear whether the explosion was deliberately set or the result of an accident. Videos purportedly from the scene and posted on social media showed children and adults lying on the ground, some bleeding. Clothing, shoes and other items were strewn on the ground beside pools of blood. 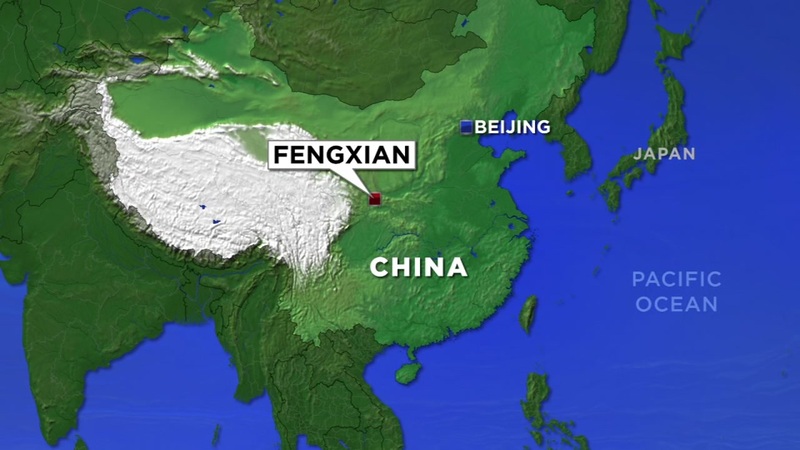 An explosion struck the entrance to a kindergarten in eastern China on Thursday, police said. State media said there were casualties, and videos purportedly from the scene and posted on social media showed children and adults lying on the ground, some bleeding. Police officials said they are investigating and had no word yet on injuries or deaths. Police said the blast struck at 4:50 p.m. Thursday at the Chuangxin Kindergarten in the city of Fengxian in Jiangsu province. A cellphone camera video posted on the website of the official People's Daily newspaper showed more than a dozen people lying motionless in front of the kindergarten's steel sliding gate, with clothing, shoes and other items strewn on the ground beside pools of blood. It showed ambulances arriving and medics wheeling people into an emergency room. It wasn't clear whether the blast was an accident or had been deliberately set. The newspaper Xiandaikuaibao on its website cited an unidentified witness as saying the explosive appeared to have been a bottle of cooking gas. That has prompted a tightening of security around many schools, with the posting of guards equipped with truncheons and the installation of gates and other barriers.